Celebrating the launch of their gorgeous new fragrance, Lancôme is giving away TWO bottles of La Vie est Belle Intense to one lucky My Fro & I reader. It’s my new favourite fragrance, and I know you’ll love it too! In my previous #MyLancôme post, I asked you what happiness means to you. And today I ask, why share happiness? Would you like to experience happiness in a bottle and share it with another fabulous woman in your life? What good is being happy if you don’t share it right? 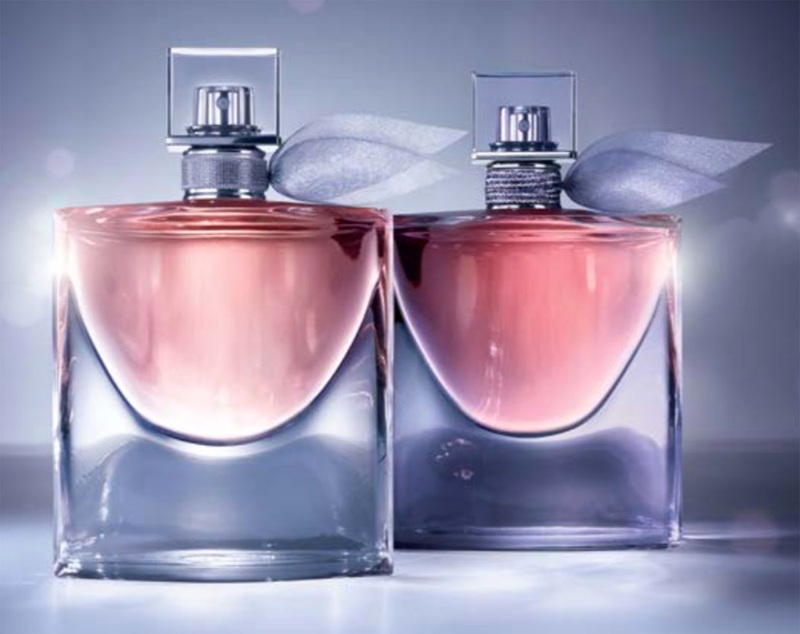 Two 50ml bottles of Lancôme’s La Vie est Belle Intense Eau de Parfum worth R2,600. One for you. One to share with a woman you love. Try La Vie est Belle at any RedSquare store nationwide. Snap a photo of yourself with the bottle, tag me @aishaandlife and #MyLancôme on Twitter or Instagram mentioning who you’d share your prize with. Answer the question “What does happiness mean to you and why should you share it?” in the comments box below mentioning who you’d share your prize with. Include your name and e-mail address in case you’re selected. The best answer will win. The competition will close at 6pm on Saturday 10th October, 2015. One winner will be chosen and announced by Monday 12th October, 2015. The winner will be contacted via e-mail or Twitter DM and will need to supply full contact and delivery details. All prize delivery logistics will be handled by Lancôme. Happiness to me means being able to practice self-love, self-care and self-acceptance in a way that adds value not only to myself but to those around me. It is about making life choices that add to this happiness. Happiness also means being able to celebrate life in all its ups and down, knowing that everything is temporary so its best to enjoy it, and enjoy it to the full. I would love to share this gift with my sister who has brought with her much happiness into my life not only as a sister but as my first experience of what a best friend is. Happiness is appreciating the good more than the bad. Living even when things seem bad. Share it because it may just save a life. what happiness means to me, to be honest I really didn't know what happens was, I used to think happiness goes hand in hand with how beautiful you look and how much money your have in bank account sadly I was wrong. but not until I met the love of my life, who showed that happiness has nothing to do with that. To me happiness means being comfortable and confident with who you are in most natural foam, being able to just chill and just enjoy being you. or just enjoying freshly baked cookies with family and knowing that your best is enough. I would like to share my happiness with my aunt who gives selflessly, and forgets about her own happiness and needs. and she has being going through a tough time, so she can be reminded of how pretty she is and that is my world and everything in it. Why share happiness… Well- why not. Happiness is the fruit of life, the thing that keeps us all going and sharing it is the best gift you can give anyone. You bring joy to others, whether it's joking with your friends, sharing a joke or smiling at a stranger. We never know who needs that smile most, it may just be that one smile at a stranger that makes someone's day. The thing in life that makes me happiest is my son, and the funny stories I can share- from the mouth of babes. You don't want to look back on your life and be disappointed because you never had fun- so make each day an adventure. Laugh a little. I would share this gift with my sister. She spreads happiness where ever she goes, her smile/laugh is contagious, she can have a conversation with anyone and she is the best at cheering anyone up. Funny I woke up thinking about this today and looked at pictures in moments where I was truly happy. Like when my sister Khauhelo turned 5 last year and I remembered a time when we weren't sure if she would make it. So each one of her birthdays is cause to celebrate and celebrate and celebrate. She is the light of our lives. Her life has been a comfort to us during the some of our lowest points as a family and a blessing equal to no other. So happiness to me, today, is having my prayers answered by way of unconditional love and light in the way that I have experienced it since my sister's birth. I would gift my mother with the other bottle. She carried my sister and has been to hell and back because of my sister's weak immune system when my sis was a baby. She deserves every beautiful thing in the world for her love, courage, strength and sense of humour. She perhaps felt it the most of all of us but never got consumed by it. I don't know how but I am amazed by it still. And she continues to rise above every obstacle Aisha- everyday. That's where I draw my strength when I'm at my wits' end. I am blessed beyond what I could have ever imagined to have HER as a mother. Hi Mosa, thanks for your comment. Please include your full name and e-mail address so we can contact you in case you win. Thanks!